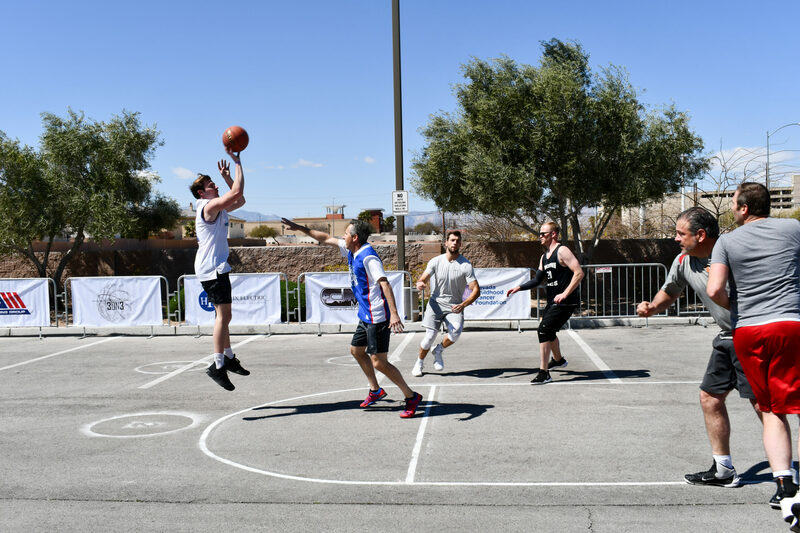 NAI Vegas, a leading provider of commercial Real Estate Services in Las Vegas recently participated in the First Annual DC Building Group’s 3 on 3 Charity Basketball Tournament. With a 32 team, double elimination bracket, both of the NAI Vegas rosters found themselves competing in the semifinals. NAI Vegas was easily recognizable with their tall line-up and bright red attire. Participants included Eric Larkin, Erik Sexton, Aaron Edgley, Tyler Jaynes, Jon Walter, Matt Walter, and Connor Watson. 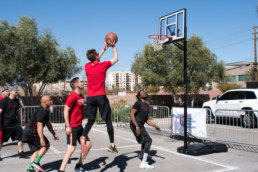 From first tip, until the final point was scored, NAI Vegas was supported by fellow agents, family, support staff, and friends who undoubtedly contributed to their success. 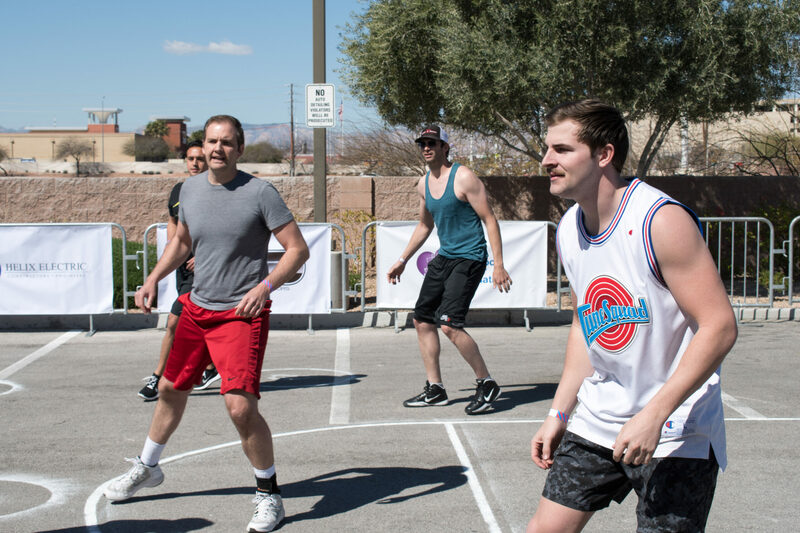 Maria Herman, also of NAI Vegas, entered the tournament with colleagues from Commercial Real Estate Women (CREW). Maria serves as the Director of Special Events and is a crucial member that works towards advancing the success of women in commercial real estate. All proceeds benefited the Nevada Childhood Cancer Foundation. With a long list of sponsors, entry fees, raffle tickets, purchasing of points during each game, and first possession of the ball there were contributions coming in constantly. Erik Sexton commented, “ It was great to compete for such a worthy cause with colleagues from all walks of the industry.” Sun Commercial Real Estate, Wells Fargo, JLL, NOVA Geotechnical, SVN|The Equity Group, Cushman and Wakefield, Marcus and Millichap, Bergelectric, First Savings Bank, US Bank, and JC Steel are just a sampling of the businesses who not only entered a team but contributed throughout the day to the NCCF. A special thank you goes out to DC Building Group for hosting this event. They certainly hosted a great day of basketball, food, and networking toward a great cause.